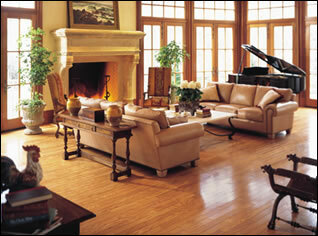 Hardwood Floors: Sanding, Refinishing, and Installation around Cleveland, Ohio. Need Help With Your Hardwood Floors? For the Best Hardwood Floors in Cleveland Ohio and Surrounding Counties, there's no other place than Dienes Floor Sanding & Refinishing. We have over 30 years of experience as a hardwood flooring contractor, we are a family - owned business,dedicated to high quality and low pricing. Our goal is to keep our customers prices down while bringing you high quality and high standards in the flooring industry. We work with homeowners, Commercial businesses, General contractors, and Interior designers. We offer premium quality floors and honest, dependable craftsmanship. Not only can you trust our experience and commitment to quality, but you know that you are working with hardwood floor installers and a flooring specialist who consider themselves a part of your community. Please take some time to browse through our website and learn more about all of the different wood flooring products and services that Dienes Floor Sanding offers. If you have any questions or feel that you would like some expert advice before making your decision, we would certainly be happy to speak with you and help you figure out which of our affordable hardwood flooring selections is best suited for you and your specific needs. We look forward to serving your flooring needs in the near future. © Copyright 2009 Dienes Floor Sanding & Refinishing Inc.